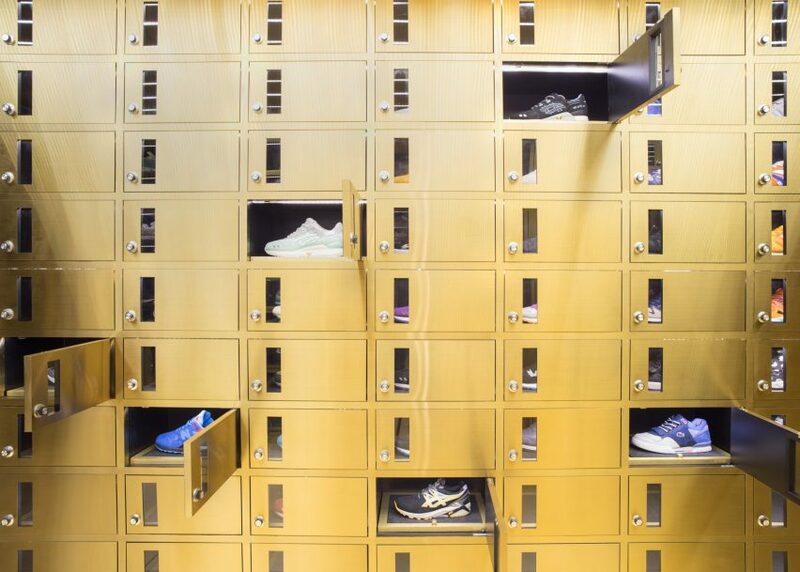 Safety deposit boxes function as display cabinets in this Bangkok shop for Spanish footwear brand 24 Kilates. 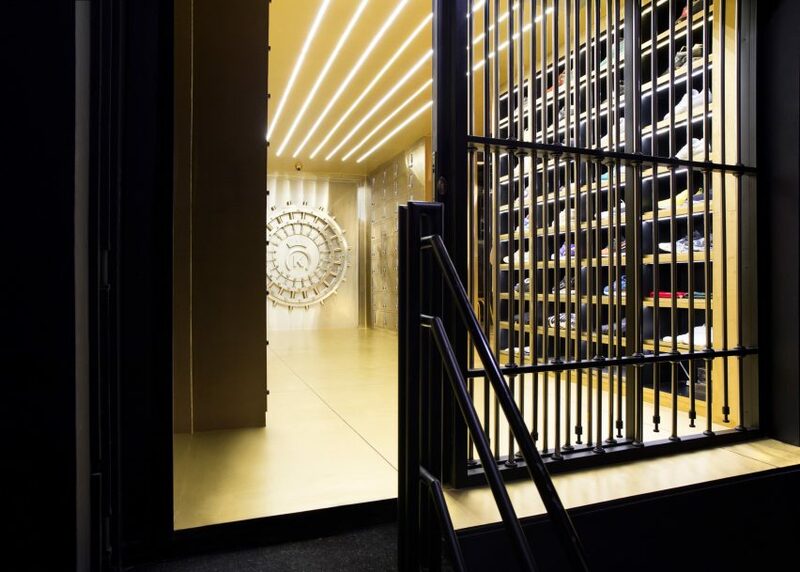 Asked to create an interior that exudes luxury, Barcelona studio External Reference designed a shoe store that looks more like a bank vault. 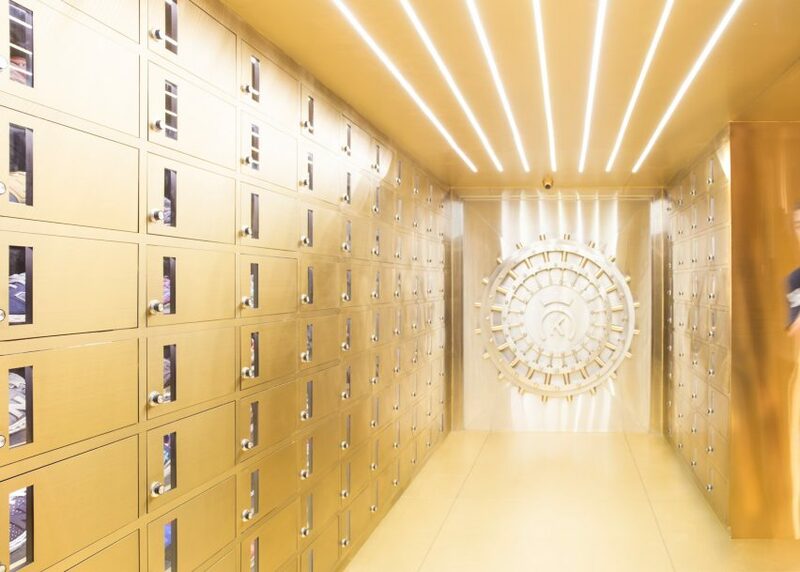 It features a wall disguised as a grand vault door – with a big wheel that frames the shop logo. 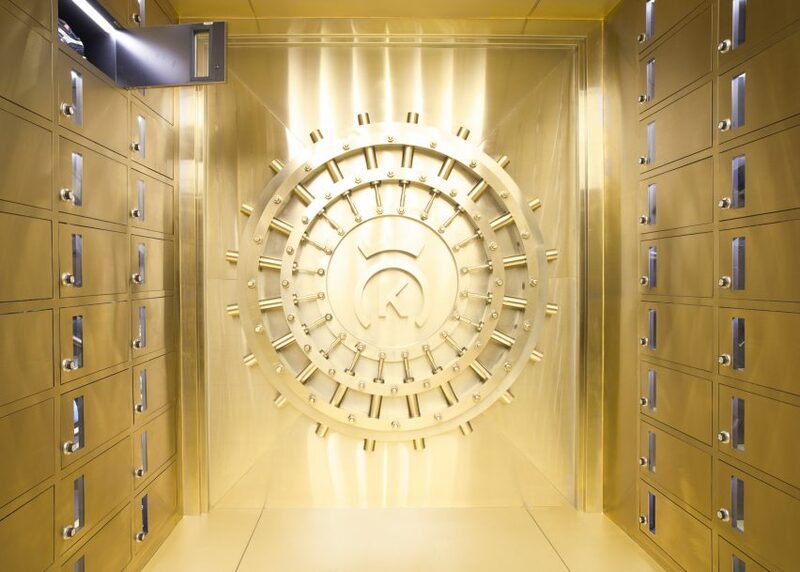 There is also an array of safety deposit boxes lining the walls. 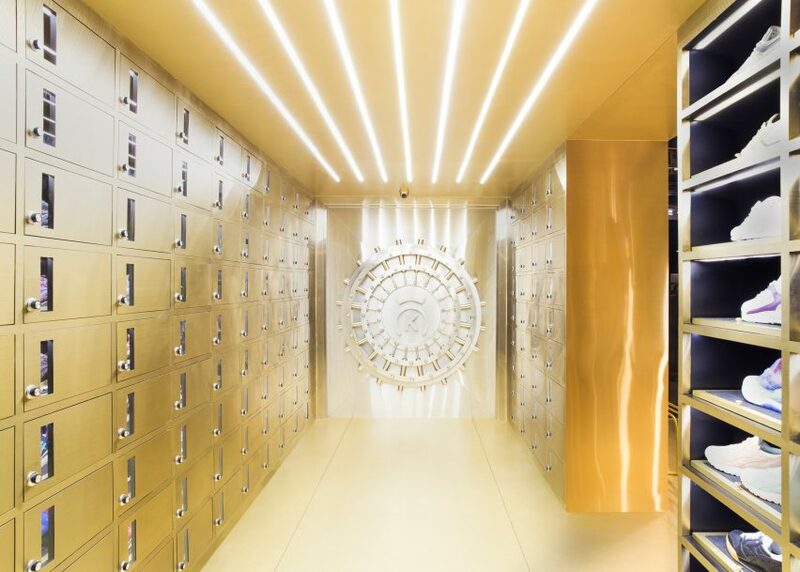 "The interior looks like an exclusive treasury, filled with safes and safety boxes," said the architects. 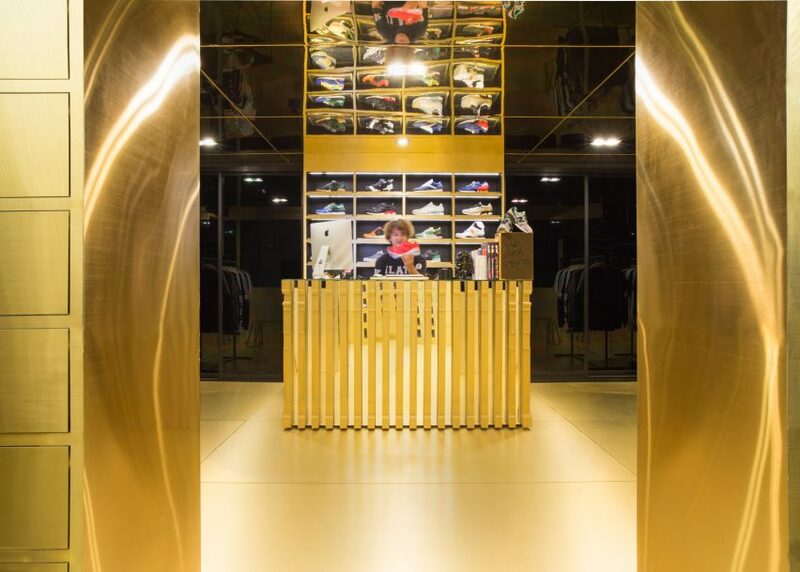 The team chose a primarily gold colour scheme, creating the impression that everything in the shop is made of metal. 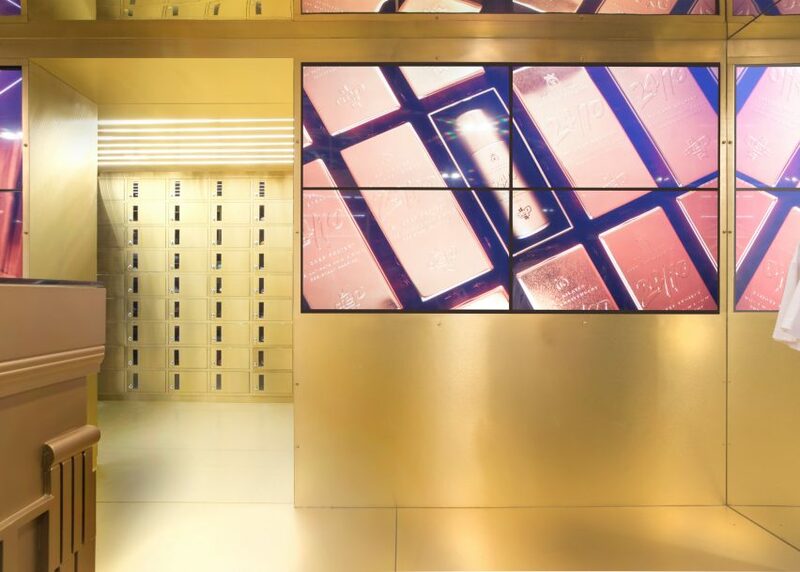 The golden deposit boxes span whole walls, with some shoes hidden behind closed doors. The doors can be open and closed in numerous different combinations, creating an ever-changing visual effect. "This helps hide products from customers' view for a while, which invites them to discover products," said the designers. "All this confers further magic and uniqueness to the items exhibited." Occupying a 38-square-metre plot, the shop also contains a second space. 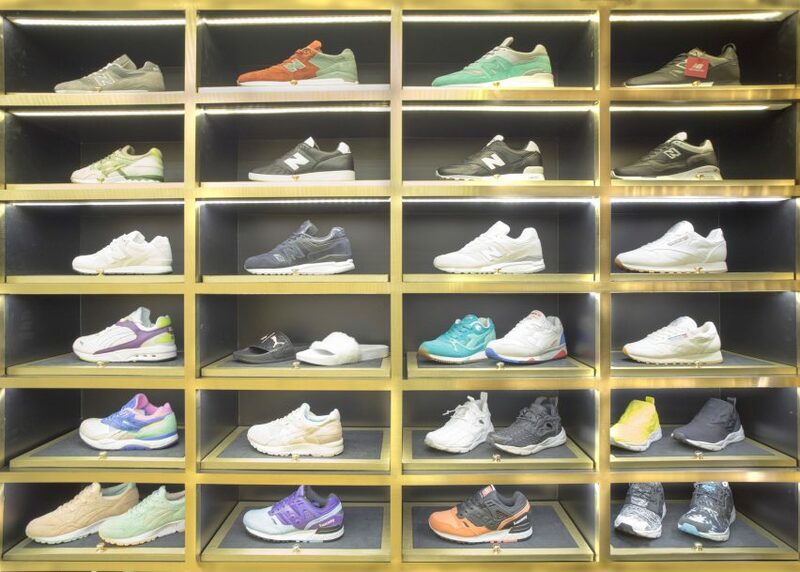 As well as the display area, there is a seating area where customers can try on shoes and other products, and which doubles as a venue for events and parties. 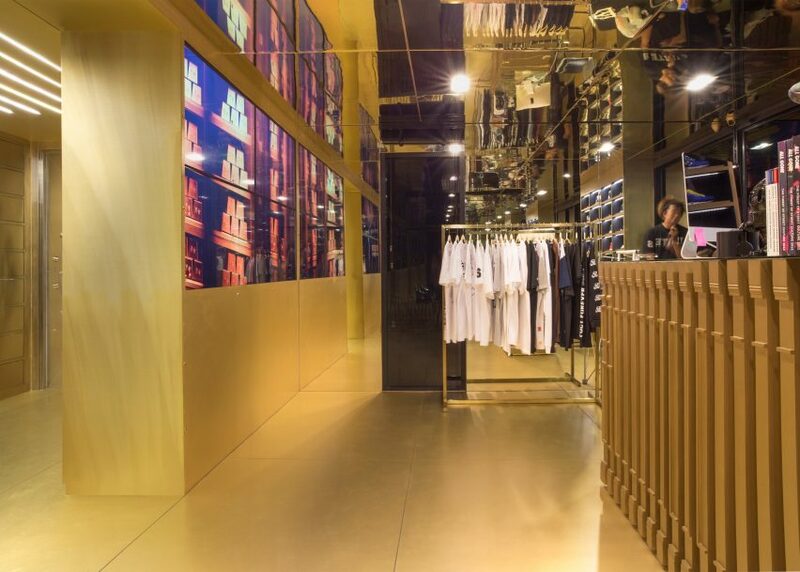 The store is the second physical space for online brand 24 Kilates, following its flagship in Barcelona. 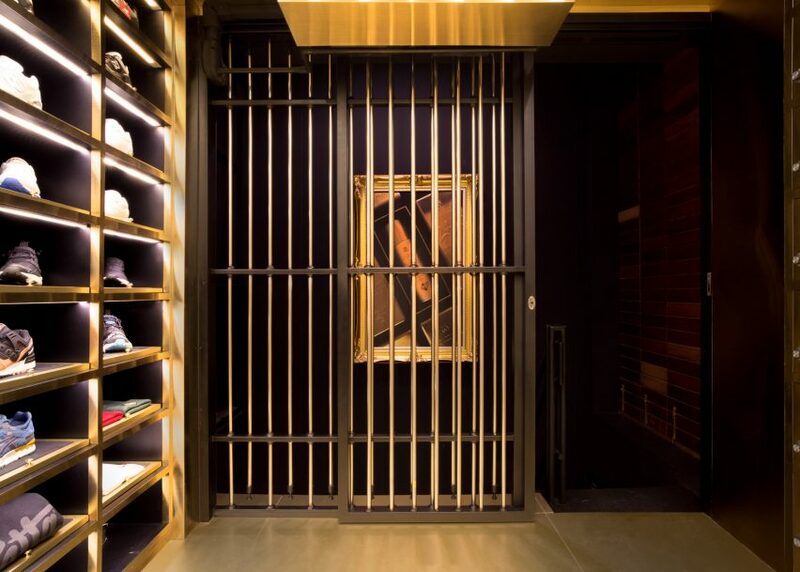 The brand describes its new space as "not just a common clothing shop, but also a place where clothes are carefully selected and presented as precious art pieces". 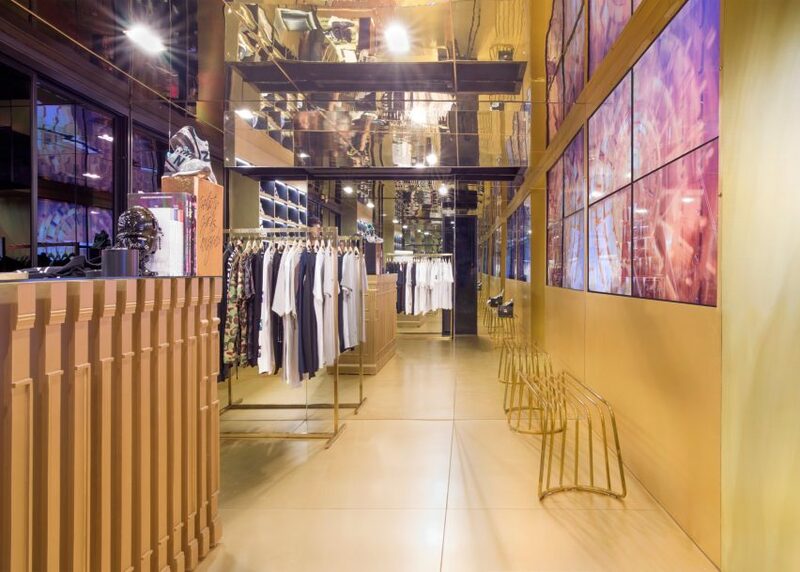 Other unusual shop interiors completed recently in Bangkok include Nendo's radical overhaul of the Siam Discovery department store and an Isabel Marant boutique featuring handcrafted woven bamboo screens.